Uncategorized Manchester Prairie Dogs lead the Pride Parade 2016! This year’s Manchester Pride parade was possibly the best ever – it certainly was for the Prairie Dogs! We were honoured to be asked by Manchester Pride to take part in the Pride Troupe and help lead the parade. We worked with Walk the Plank to create an entry inspired by the theme of Once Upon a Time – this included a superb fairytale carriage and beautifully colourful costumes for our fabulous dancers. 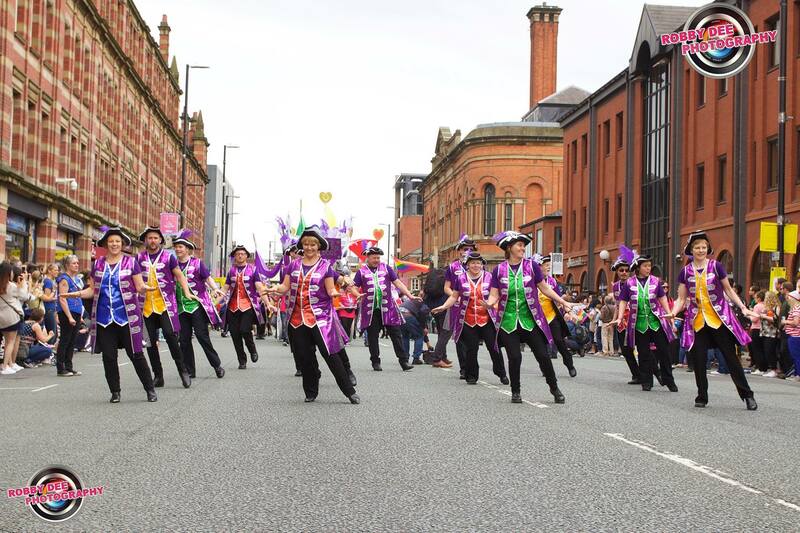 We also got the chance to accompany the Lord Mayor of Manchester and his consort throughout the parade and entertain the crowds with our loved-up tunes and red-hot moves! Thanks to Manchester Pride and Walk the Plank for the opportunity, and to our hard-working dancers for creating a brilliant experience.